Small white spots, called tyrosine, can show up on Serrano ham. They are tiny ‘yeasty’ granules that form between muscular fibres in the piece as the maturation process progresses. 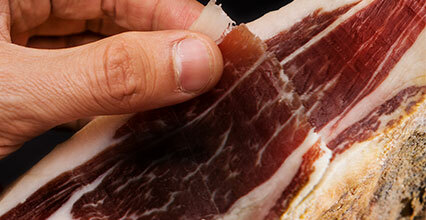 The appearance of these white spots on the Serrano ham is variable in shape, size and location. The appearance of these spots is due to changes in the proteins that occur during ham maturation, which cause the concentration of free amino acids. They are, then, an indicator that maturation has been long and slow. The white spots present in Serrano ham are never unsafe for consumption and do not confer anomalous characteristics to the product. Rather, to the contrary, they indicate that the product has been adequately matured. 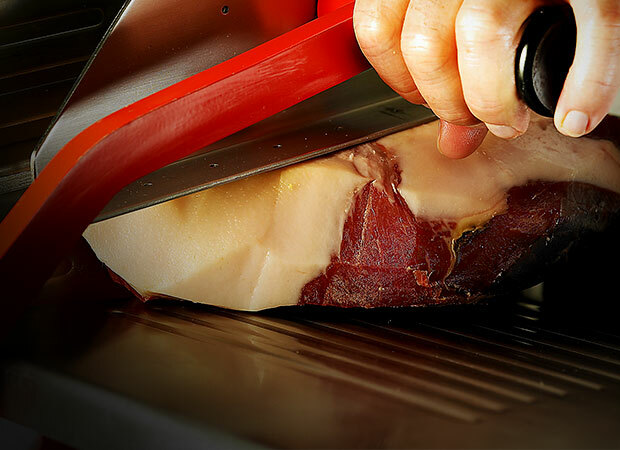 This occurs when cutting or opening a piece of Serrano ham and keeping it unprotected from the action of the ambient air, causing oxidation. Likewise, this can happen with the fat, which turns a slightly yellow colour. In order to avoid this, it is best to protect the Serrano ham either with the fat previously cut off, in paraffin paper or with plastic food wrap and maintain it at an adequate temperature for refrigeration and a bit of moisture. The appearance of a white veil is an alteration that forms on the surface of cut hams. It is mainly composed of tyrosine. Appearance of white veil does not imply loss of the vacuum seal of premature expiry due to contamination or degradation. If you wish, you can simply remove it by making a superficial cut, its appearance being more frequent on boned hams than other formats of Spanish ham. 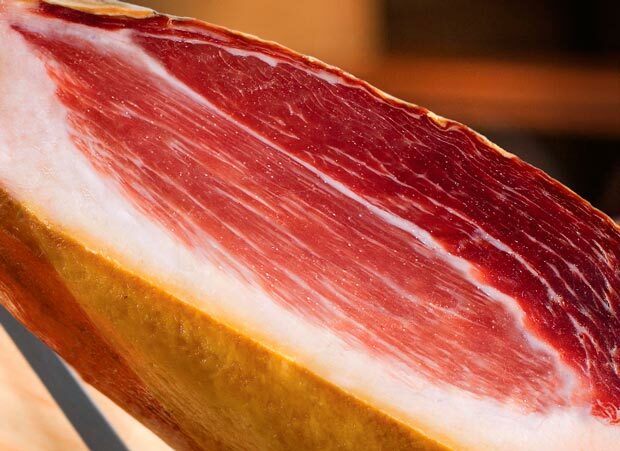 A chromatic phenomenon (colour contrast) on the surface of the cut of Serrano ham and in certain muscular areas. It can be observed when light hits the surface of the ham. 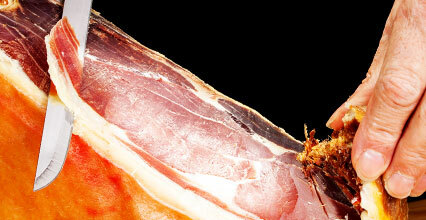 It does not represent any nutritional or organoleptic alteration in the Serrano ham. These appear on the surface of the cut. They are inorganic salts that precipitates to the surface due to low moisture conditions externally. This does not represent any kind of problem, they can be removed by carving the first slice.